We started this website as a hobby at the start of 2016. It was something to do to pass time whilst we were not betting ourselves. After all, there is only a limited amount of time that can be spent betting profitably each day. We wanted to teach other people how to make a profit from betting in the exact same way that we did (and still do). And we’re talking about making real profits, not the type of short-term wins that your typical punter will win. If we could reach a few people, as well as having a resource that we could easily show to friends and family to help them learn the process, then that would have been great for us. We could never have envisioned the success this site would have. Whilst these numbers will obviously be dwarfed by many sites in bigger industries, and hopefully by our own future success too, we’ve helped over 117,000 people that have consumed our content on this journey so far. To say that we ever expected to reach such an audience would be an understatement. We like to think we’ve achieved our success by being open about the strategies we’re using and even the money we’re making. We thought we’d extend this openness. Not only do we want to be open about how what we teach works, but also about how our website (which is now our business) works. By law, we’re required to have a page on our site that tells you that we make money via affiliate commissions. Typically, these are boring pages that you likely won’t ever want to read and potentially won’t even understand. We didn’t want to do that. We want to be completely open with our readers. In danger of sounding like Tom Hanks from the distinctly average movie ‘The Circle‘ – I can’t recommend that you ever watch it – we’re going for total transparency. We mentioned above that this site is now our business. We actually started running this full-time within one year after launching. But how can we be a business? We teach you for free. Over 2,000 people have downloaded our free course! Giving everything away for free isn’t the most optimal business model in the world. …so how is it that we make money? Well, this is quite simple. For example, we have a statement shown in a prominent position on our ‘About’ page that states we use something called affiliate links. Now, the cynic would argue that we only include disclosure because it is a legal requirement. To be honest, that would be true for when we first started out. But we quickly realised that this isn’t enough, especially in an industry such as ours that we operate in. People are rightly skeptical about so-called ‘risk-free’ money making opportunities that they come across online. Fortunately, we’re one of the only industries that can actually deliver on the promise – so why the need to look so scammy? Our commitment to transparency extends beyond a simple disclosure on a page hidden far from the sight of most visitors. Could we still be more transparent? We are continuing to improve on how open and honest we are – starting with this disclosure page. 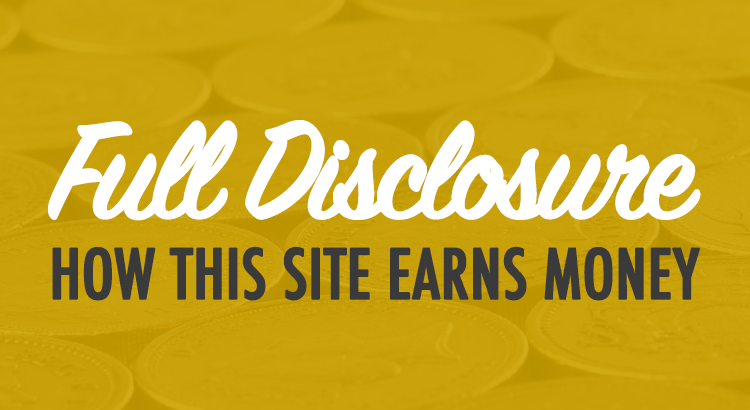 We are aiming to make this the best affiliate disclosure page in the history of affiliate disclosure pages. Exciting stuff, I know. Affiliate links are a way of generating income via business referrals online. Does this mean we will link to any website or product with affiliate links in order to make money? We have repeatedly rejected financial incentives from multiple businesses so that we can continue to offer what we feel is the best advice to our readers. Not only that, but we’ve incurred huge legal costs just to continue to provide our commitment to honesty. We’ve learned that some companies aren’t too fond of our honest criticisms! Given the choice between earning more money or giving an honest, unbiased review, we would (and do) choose the latter every single time. How much do we earn from an affiliate sale? Well, the majority of our sales come via Oddsmonkey – the number one service that we recommend here on Beating Betting. The average user of Oddsmonkey earns over £1,000 per month via their site, according to the profit threads on their forum. For each user we refer to Oddsmonkey, we earn £5.93. Needless to say, that means we have to refer a lot of people to pay for the running of our business. Despite the fact that you will likely go on to earn hundreds or even thousands of pounds from the above recommendation, we essentially get a large Starbucks coffee each month in return. But to us, that’s fine. The reason this site is still run today is exactly the same as when we first started – to teach people how to do what we do. We earn far more money from our own matched betting than we do from teaching you how to follow us on this journey. Admittedly, we do hope that one day in the future this will change. However, our values will always remain the same. We will never push a product that we do not believe in. For example, affiliate commissions for binary options – another potential online money making method – are ridiculously huge; we’re talking three figures and maybe even more per sale. However, we do not view things like binary options as a profitable option for our readers and therefore do not recommend it and see no reason to promote it. Do All Affiliate Schemes Work in the Same Way? With the main technique we promote – matched betting – you are almost guaranteed to make a profit as long as you follow simple instructions. This means that you earn some nice cash and we earn the aforementioned Starbucks coffee with a bit of change left over. This is absolutely the best situation for both of us! And a lot of affiliate schemes work in this way. If you’ve ever used an online comparison to save money on your insurance, or to buy a car, or to find cheaper flights…they all work in this same way. You save money and they earn a bit of a kickback for helping you out. But not all affiliate schemes run in this way. For example, the setup for schemes with bookmakers and casinos is totally different to the model above. With those types of sites, affiliates only earn money if you lose money. If you win money via the bookmaker after going through a site’s link then they don’t earn anything from you (in fact, they technically lose money due to something called negative carryover). Those websites or social media profiles that are constantly pushing bookmaker sign-up offers in your face are doing so for one reason – to make money when you lose. Considering they call themselves ‘tipsters’ and claim to be able to make you profits, don’t you think that financial model is a bit…hypocritical? Well, the situation certainly doesn’t sit too comfortably with us. We teach people all over our site how to avoid gambling and choose a profitable route instead. We do not wish to profit, at all, if you’re losing money. We are one of the only betting sites (matched betting sites included) that operate with a no bookmaker and no casino affiliate link policy. Do Businesses Pay Us to Review Them? Currently, no business has ever paid us to review them. Whilst we would accept payment to review a relevant company or product on our site, this would in no way guarantee a positive review and the financial agreement would also be stated on the review page. Can People Pay for Links on Our Website? Who Are We Currently Affiliated With? Almost every company that we recommend on this site, we do have some affiliation with. This does not affect our opinion of products or our ability to judge them – we still criticise companies, software, features, decisions and more wherever necessary. There are plenty of other websites that we link to in order to help assist with your learning experience. The majority of ‘additional learning’ are all websites that we have no affiliation with whatsoever. To be completely transparent, below is a breakdown of every company that will give us a small kickback if you buy their product. Oddsmonkey: This is the number one product that we recommend on this site and it is the tool that we believe to be essential for matched betting. We will earn a small amount of money if you purchase via our link. Profit Maximiser: This is our number one casino recommendation and will help you to make the most profit out of casino offers. We will earn a varying amount of money depending on the PM product you purchase via our link. Profit Accumulator: One of the biggest sites in the matched betting industry. We will earn a set figure if you choose to buy their subscription after clicking on our link. MatchedBets: Matchedbets are a newer matched betting company and offer something a little different if you don’t like the look or feel of Oddsmonkey for whatever reason. We will earn a small amount of money if you purchase via our link. Profit Squad: Similarly to the above, Profit Squad are another great alternative if you don’t want to join Oddsmonkey. We will earn a small amount of money if you purchase via our link. Betfair: The original betting exchange, we use this to lay our bets. We will earn a small percentage of the commission you pay if you join via our link. Smarkets: A great alternative to Betfair that offers significantly lower commission to new users. We will earn a small percentage of the commission you pay if you join via our link. BETDAQ: Another alternative to Betfair that won’t hit you with a premium charge for being too profitable. We will earn a small percentage of the commission you pay if you join via our link. Matchbook: A betting exchange with a slightly different setup to those above; much lower commission (just 1%) but you will pay it on both winning and losing bets. We will earn a small percentage of the commission you pay if you join via our link. There are many other matched betting sites that have asked us to affiliate with them. To date, we have opted to reject all requests where we do not feel significant value is being offered. The Profit Maximiser group also have a range of other products that we are affiliated with; Acca Generator and Each Way Sniper being the most popular two. Caan Berry: Caan’s video trading course is by far the most detailed we have seen and offers incredible insights that can’t be found elsewhere online. We will earn a varying amount of money depending on the product you purchase via our link. Bet Trader: This is our recommended trading software for Mac users. It is the software that we ourselves use on Mac. We will earn a small amount of money if you purchase via our link. Geeks Toy: This is our highest recommended product for Windows users. It is the tool that Caan uses and recommends. We will earn a small amount of money if you purchase via our link. Jivaro: Our recommended Heads Up Display (HUD) for casual players. We will earn a small amount when you purchase via our link. Holdem Manager: Arguably the best poker HUD for serious grinders. We will earn a small amount when you purchase via our link. PokerTracker: Probably the best alternative to the above. We will earn a small amount when you purchase via our link. Poker Copilot: Our recommended HUD for Mac users. We will earn a small amount when you purchase via our link. Amazon: There is the odd product recommendation to Amazon on this site. We will earn a small commission based on whatever you buy from Amazon within one day after clicking. We’re required by their Terms of Service to say this: Beating Betting is a participant in the Amazon Services LLC Associates Program, an affiliate advertising program designed to provide a means for sites to earn advertising fees by advertising and linking to Amazon. PureVPN: We recommend this VPN for those looking to hide their IP. We will earn a small amount when you purchase via our link. Inplay Trading: This is a great tool for those looking to trade football markets or just gamble in-play. We will earn a small amount when you purchase via our link. Whilst the list above is accurate at the time of writing, it is likely that it may be outdated from time-to-time as we expand our product offering. Is there something we haven’t added here that you still want to know? Get in touch with us today and we will strive to add clarity as soon as we can.